Sustainable Futures in Africa is an interdisciplinary collective aiming to build understanding, research, and practice in socio-ecological sustainability in Africa. 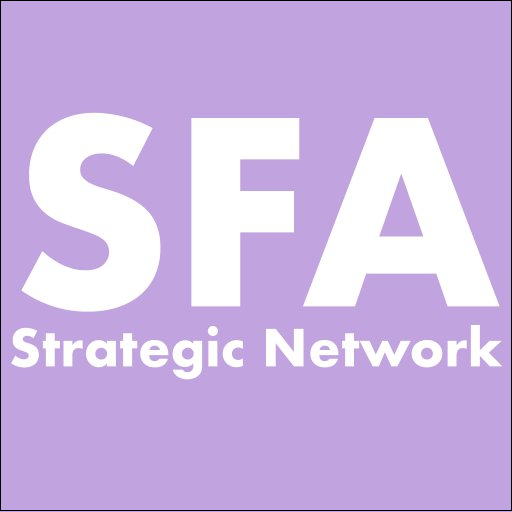 In order for relationships to be built, methodologies to be explored, and to achieve the shared understanding that is aspired for, the SFA network is running trial research projects. These are being run with an emphasis on the trial and error aspect, for researchers to explore the unfamiliar, social scientists exploring hard science and vice versa. Furthermore colleagues in Glasgow will take every opportunity to work with the projects in Nigeria, Uganda, Malawi and Botswana as they develop. All research projects will concern the implementation gap in environmental initiatives through community engagement and public pedagogies. The Botswana team proposed to explore the issue of human-wildlife interaction. This is a topical issue that affects local development like grassroots livelihood, the tourism industry, food production, wildlife management. It also has an international dimension as wildlife moves in and out of the country. During the proposed trial study period, Botswana team intends to look into ways of managing the interaction, especially, the elephant-human interaction. Botswana, in southern Africa is endowed with wilderness and wildlife, with an increasing elephant population estimated at 130,000-200,000. The threat with elephants is the trail of destruction they leave on their way such as destruction of human property (boreholes, fences ) and crops, human death and injuries. The causes of human wildlife conflicts are documented in literature, being expansion of human development (e.g., settlements) into wildlife habitats, and the intrusion of wildlife species in human settlements. The former is caused by constricting wildlife habitats due to the effects of the latter and consequently resulting in competition of resources. One mitigation measure came through collaborative conservation initiatives between government and local communities, commonly implemented through CBNRM (Community Based Natural Resource Mgmt) programs. CBNRM is premised on the notion that when communities living within the wildlife areas receive benefits of living with the wildlife resources, and those benefits exceed the cost they incur, then they will effectively manage wild animals and co-exists with them. Another mitigation effort includes chilli pepper and beehive fence deterrents used specifically for the most destructive elephants. While the deterrents have the potential of promoting co-existence, concerns are that the chilli pepper is not locally available and thereby imported externally. While this may be a challenge, it also presents an opportunity for local communities to venture in chilli pepper production for use as elephant crop raiding deterrent and promote food security. Moreover, since the chilli pepper is not locally produced, local communities can market the pepper in elephant prone areas of Botswana as an economic activity, thereby improving their socio-economic livelihoods. The proposed project will thereby explore the potential of production of the chilli pepper within one local community in Botswana as a means of promoting i) human wildlife interaction and consequently co-existence and ii) improvement of rural livelihoods. It is anticipated that producing the chilli pepper locally will contribute to local economies while deterring elephants from crop destruction will contribute to food security. In this type of research, researchers come with an understanding that community members “know best what their own needs are, and with genuine participation, they can make great contribution, (http://www.hc-sc.gc.ca/hppb/wired/community.html. Actually, Heron (1996) warns that “to generate knowledge about persons without their full participation in deciding how to generate it, is to misrepresent their personhood and to abuse by neglect their capacity for autonomous intentionally. It is fundamentally unethical” (p. 21). The research is being conducted in early July. The research team is heading to the Nata District, Botswana on Sunday 9th July. On the 10th and 11th and 12th July the research team conduct community based qualitative research comprising of focus groups and other ethnographic research focusing on the human wildlife interaction hot spots. The research team will be using a vast array of data collection methods such as photography, video filming and voice recording to gather the data required to support a mixed-method analysis of the context.